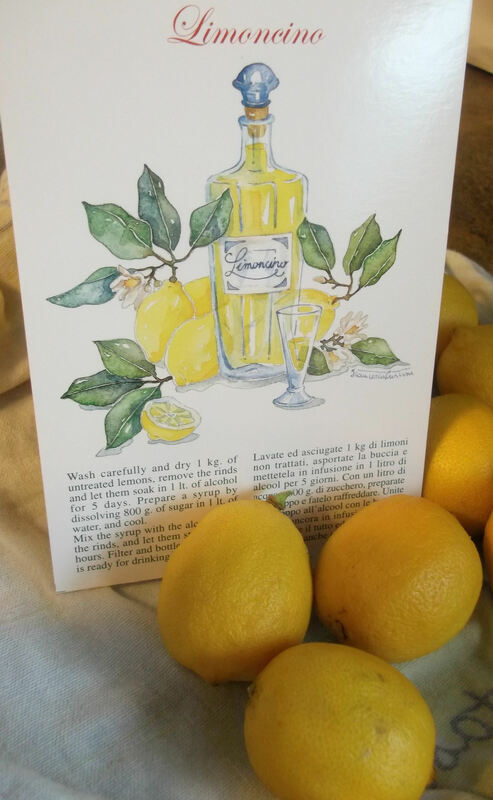 While on vacation in the Cinque Terre region of Italy last summer, I had the pleasure of sampling some of the locally made limoncino. In case you are wondering – as I was – whether or not this ice-cold lemon-infused concoction is the same drink as limoncello, the answer is basically yes: in the north, they call it limoncino and in the south it’s limoncello. However, if you are lucky enough to be anywhere in Italy enjoying it, you won’t care what it’s called. You’ll just be glad to know that you can make some when you get back home. Wash and dry the lemons. Peel the lemons very thinly with a vegetable peeler, keeping as little as possible of the white pith attached to the rind (the pith can make the limoncino bitter). 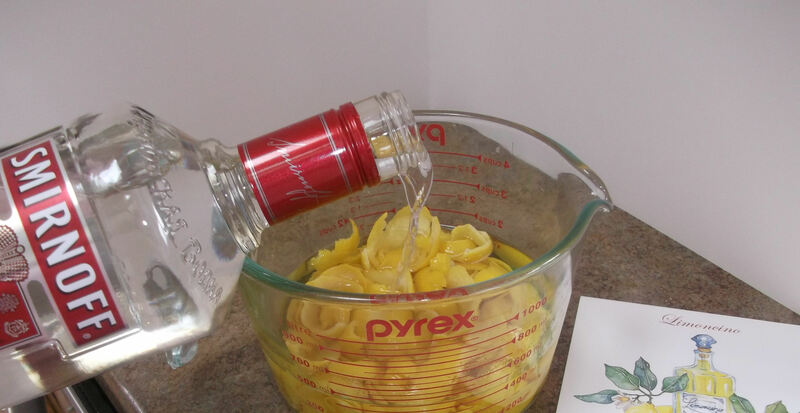 Place the peeled rinds in a large bowl, pour in the vodka and let the mixture sit in a cool place for at least 5 days. 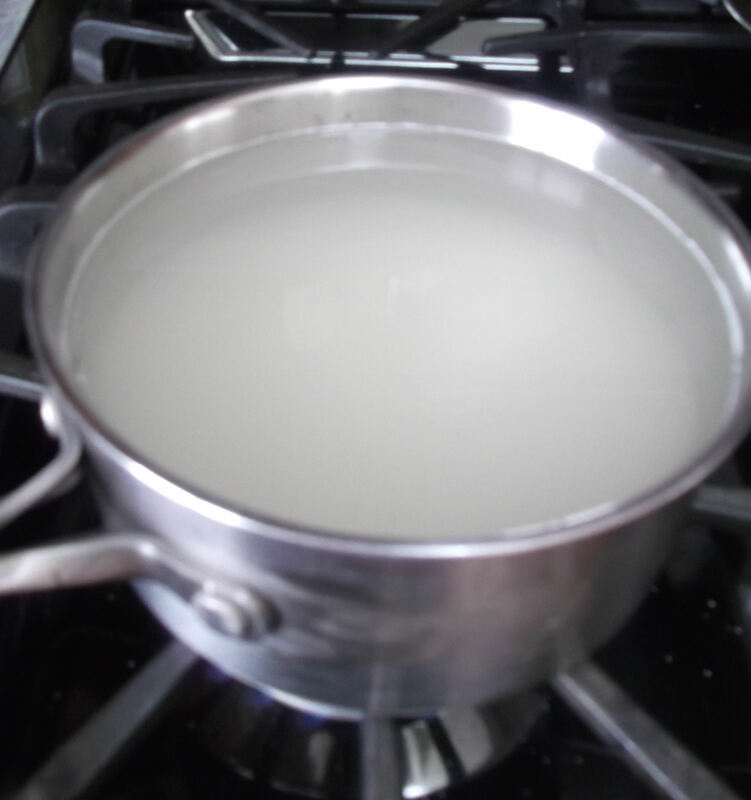 After the initial resting period, prepare a syrup by heating the sugar and water in a saucepan, stirring occasionally, just until the sugar has completely dissolved and the syrup is clear. Pour the syrup in with the rinds and alcohol and let the mixture sit for at least 12 hours. 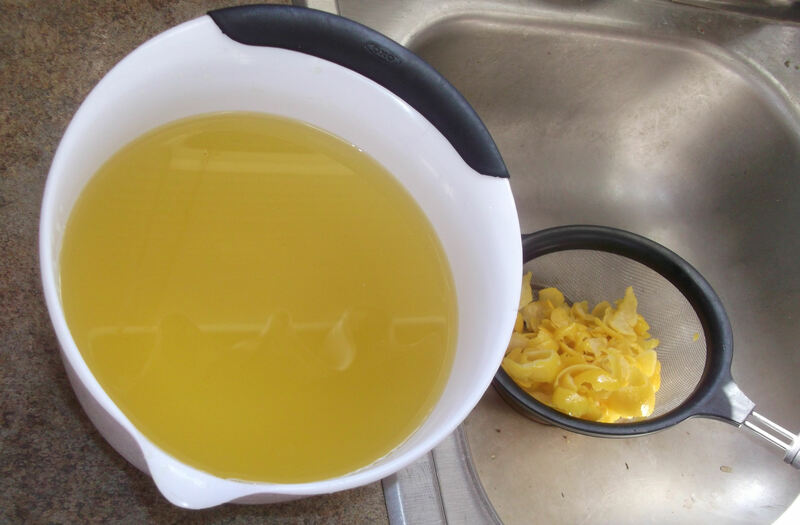 Pour the liquid into a bowl or pitcher through a strainer to remove the rinds. If desired, filter it further by pouring the liquid through a coffee filter. At this point it is ready for bottling and drinking. 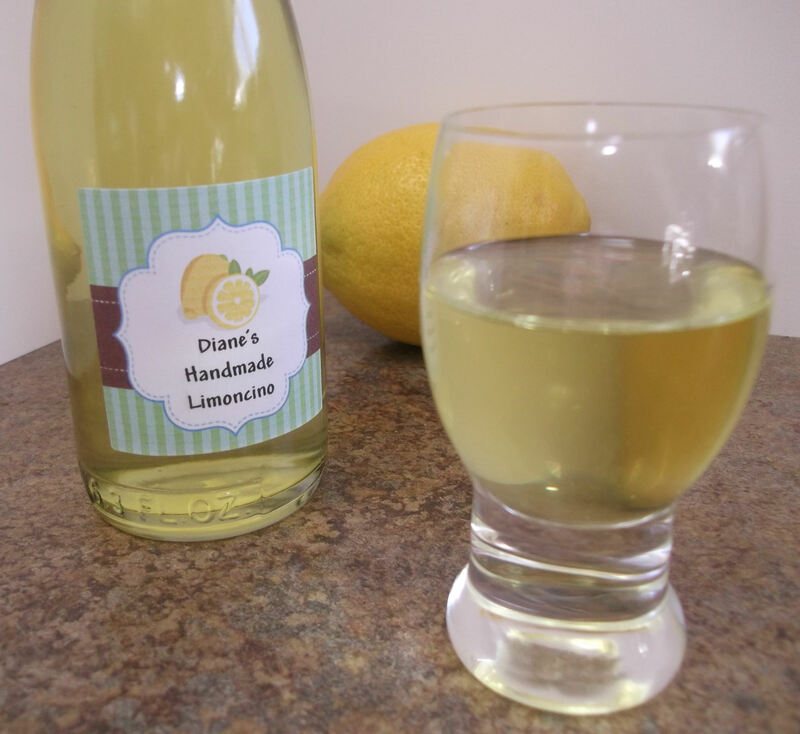 Store in the refrigerator and serve well chilled in a small cordial glass. The idea of putting local recipes on postcards is pure genius! Be sure to use organic lemons, as any pesticide and chemical residues will accumulate in the outermost rind, which is what we’re using here. 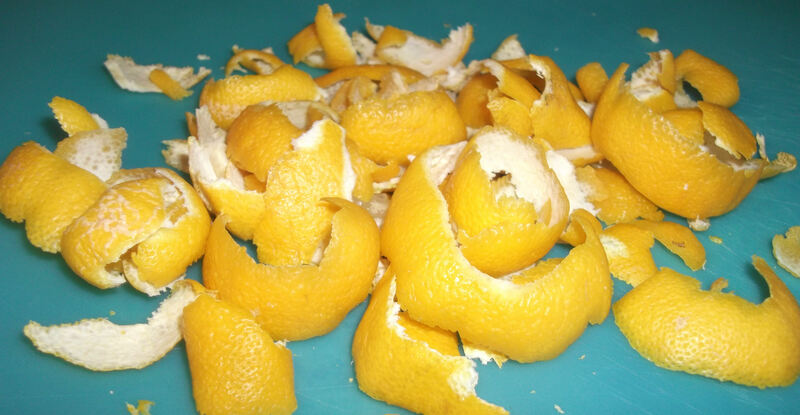 The most time-consuming part of this recipe is peeling the lemons. Sit down, put on some good music, and settle in to the task. 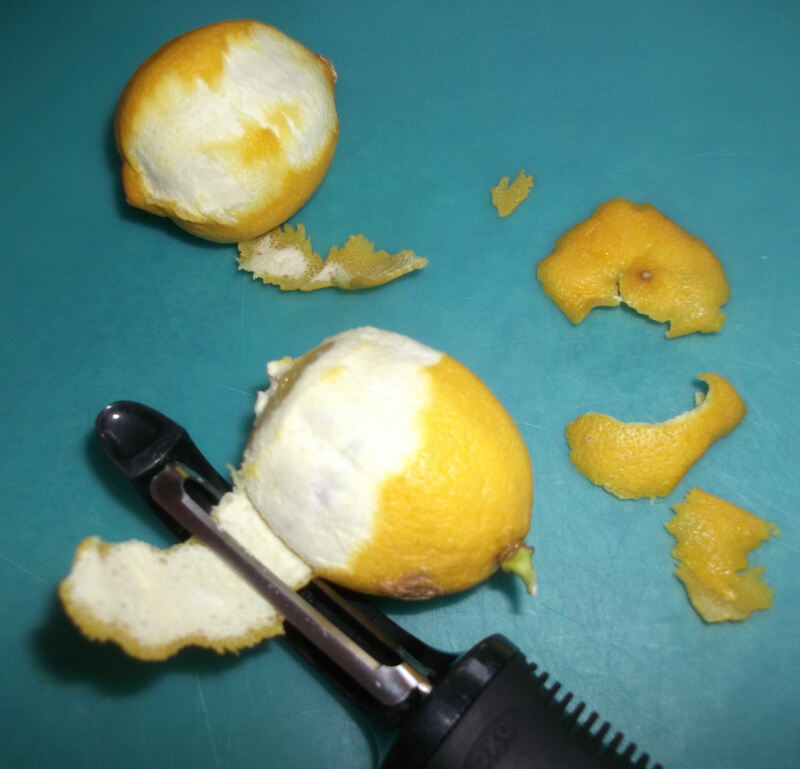 Using a vegetable peeler, peel the lemons very thinly, keeping as little as possible of the white pith attached to the rind, as too much pith can make the limoncino bitter. After 5 days (or longer), the mixture will have turned yellow and will be very fragrant. I wish I could upload this heavenly aroma! 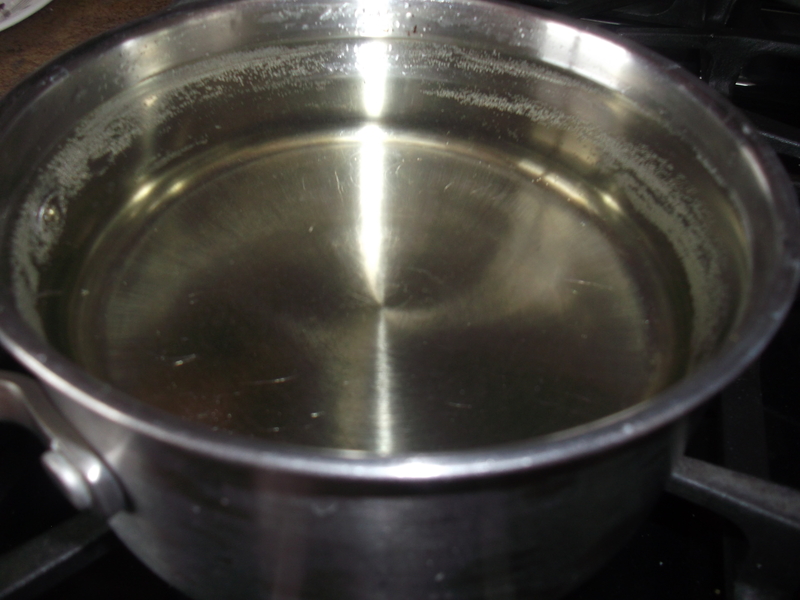 Prepare the syrup by combining the sugar and water in a saucepan. Over medium heat, gently heat and stir the mixture just until the sugar has completely dissolved and the syrup is clear. Pour the syrup in with the rinds and alcohol and let the mixture sit for at least 12 hours. 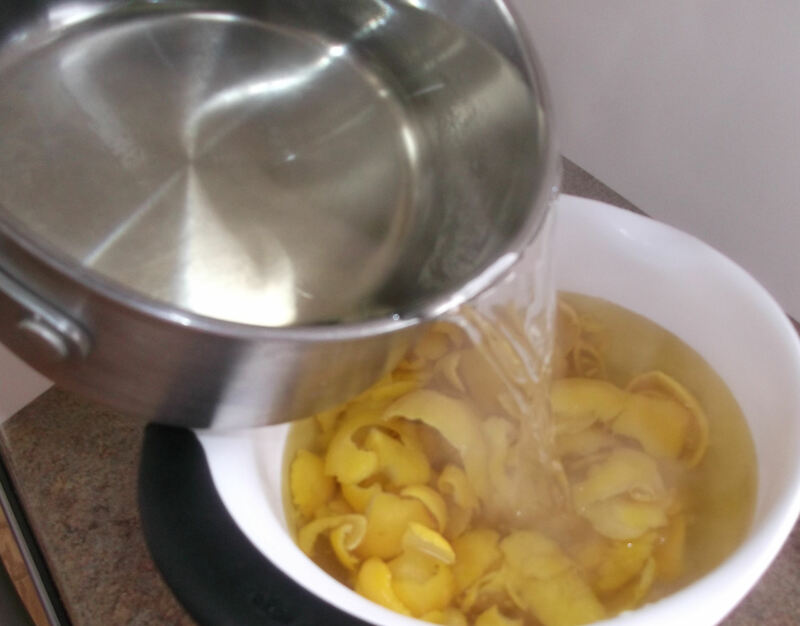 Strain the liquid into a bowl or pitcher through a strainer or sieve to remove the rinds. 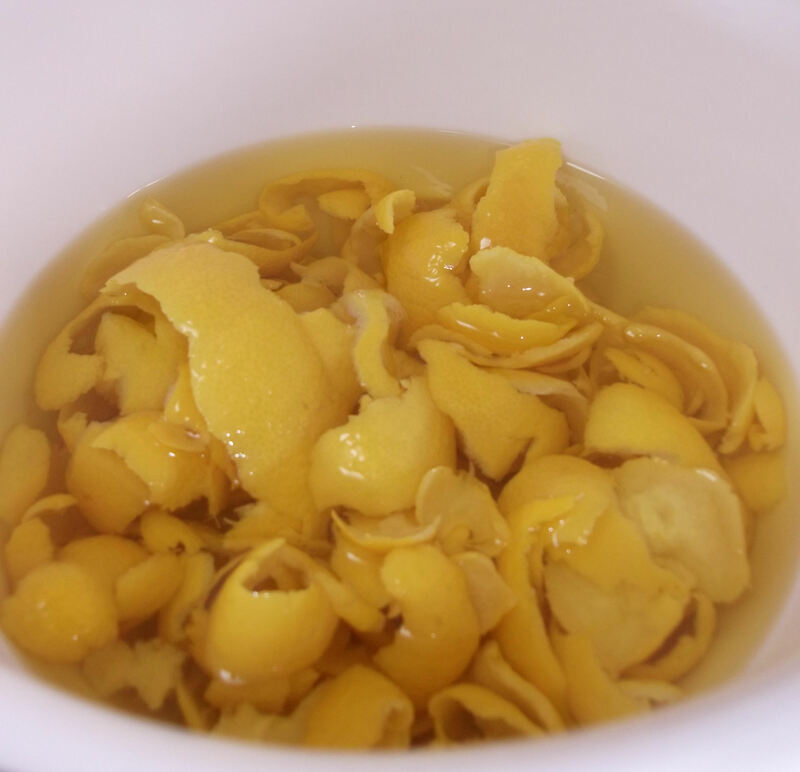 You will be left with a bowl of ready-to-drink limoncino and a strainer full of rinds. At this point it is ready for bottling and drinking. 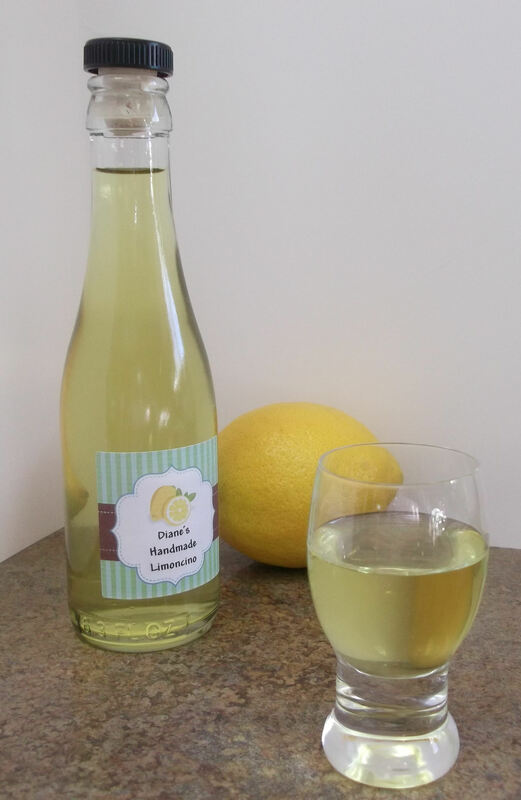 For best results, store the limoncino in the refrigerator and serve well chilled in a small cordial glass or shot glass. Enjoy! Note: Over time, some sediment may collect at the bottom of the bottle. While completely harmless, this sediment will turn the limoncino cloudy. 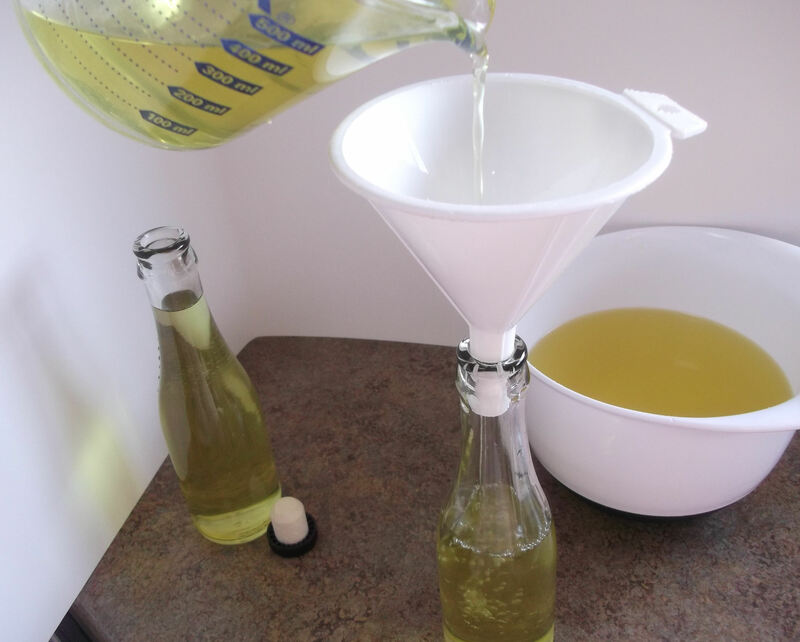 To remedy this – either at the time of bottling or later – you can pour the limoncino through a coffee filter (line either a strainer or a funnel with the filter).